Home > Services > Bone Fractures & Joint DislocationTwo of the most common bone and joint injuries are fractures and dislocations. Both injuries should be considered emergency situations and set into place as soon as possible by a trauma specialist. Moving a fractured or dislocated bone may cause further damage to the bone and surrounding blood vessels, nerves and tissue.Types of bone fracturesBone fractures can happen in a variety of ways, including accidents, repetitive stress injuries, osteoporosis and tumors.The most common types of bone fractures are:Closed or simple bone fracture: a break in the bone in which the skin is still intactOpen or compound bone fracture: a break in the bone in which the skin is perforated by the bone or by a blow at the time of the fractureSegmental or multiple bone fracture: a break at two or more places on the same boneComminuted bone fracture: a break in which the bone is shattered into piecesThe line of the bone fracture may be:Transverse: Forms a right angle with the axis of boneOblique: Runs slanted to the axis of the boneLongitudinal: Runs along the line of its axisJoint dislocationsJoint dislocation is the displacement of a joint from its normal position, usually caused by a blow, fall or other trauma. In addition to displaced bones, there may be damage to the joint capsule and surrounding muscles, blood vessels and nerves. Symptoms of joint dislocations include loss of motion, swelling and pain and sometimes a joint visibly out of place. 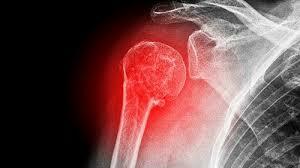 Bone Fractures & Joint Dislocation Two of the most common bone and joint injuries are fractures and dislocations. Both injuries should be considered emergency situations and set into place as soon as possible by a trauma specialist. Moving a fractured or dislocated bone may cause further damage to the bone and surrounding blood vessels, nerves and tissue. Types of bone fractures Bone fractures can happen in a variety of ways, including accidents, repetitive stress injuries, osteoporosis and tumors. The most common types of bone fractures are: Closed or simple bone fracture: a break in the bone in which the skin is still intact Open or compound bone fracture: a break in the bone in which the skin is perforated by the bone or by a blow at the time of the fracture Segmental or multiple bone fracture: a break at two or more places on the same bone Comminuted bone fracture: a break in which the bone is shattered into pieces The line of the bone fracture may be: Transverse: Forms a right angle with the axis of bone Oblique: Runs slanted to the axis of the bone Longitudinal: Runs along the line of its axis Joint dislocations Joint dislocation is the displacement of a joint from its normal position, usually caused by a blow, fall or other trauma. In addition to displaced bones, there may be damage to the joint capsule and surrounding muscles, blood vessels and nerves. Symptoms of joint dislocations include loss of motion, swelling and pain and sometimes a joint visibly out of place.